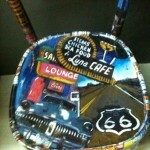 Sedie con immagini di ciò che si trova sulla Route ’66 che va da Chicago a Los Angeles, motels, gas stations, automobili ecc, tutte dipinte con acrilico . 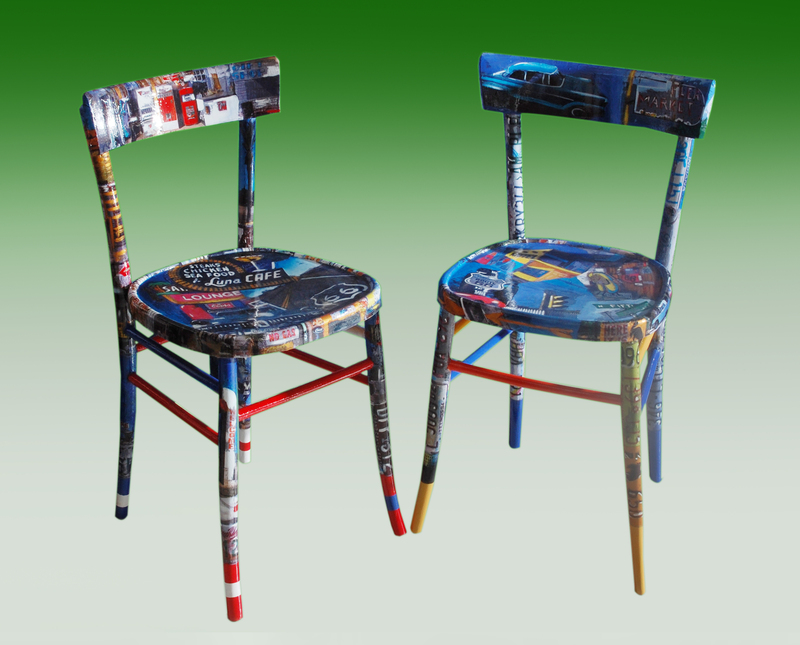 Finitura in resina lucida. 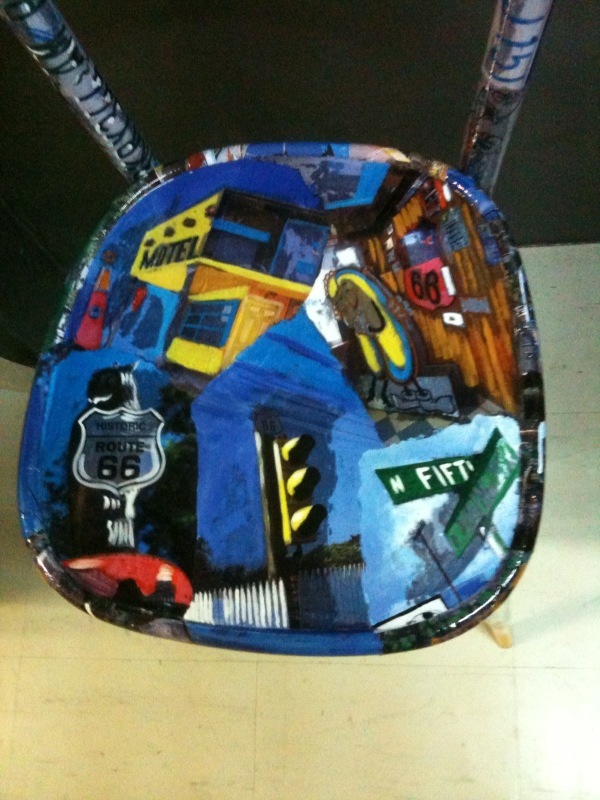 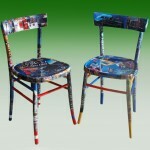 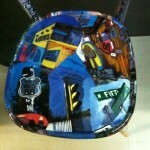 Chairs covered with images of the popular Route 66, that crosses USA from Chicago to Los Angeles. 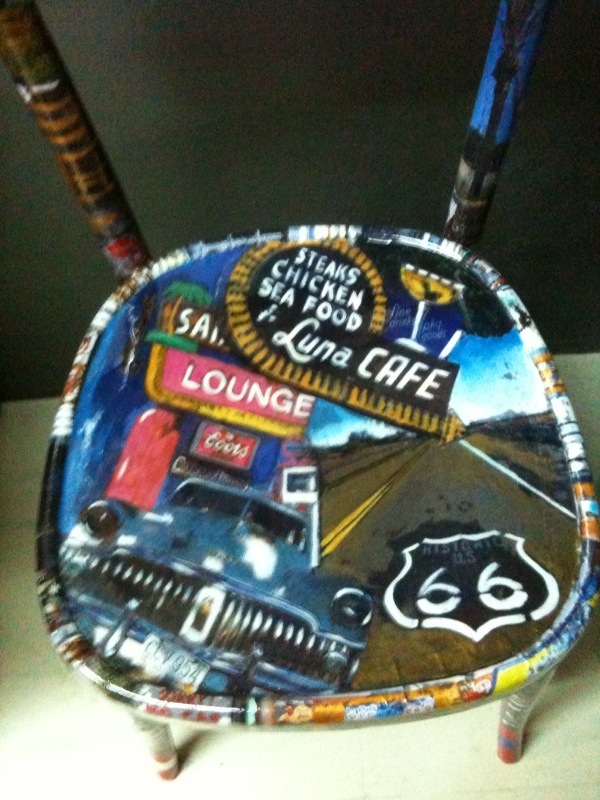 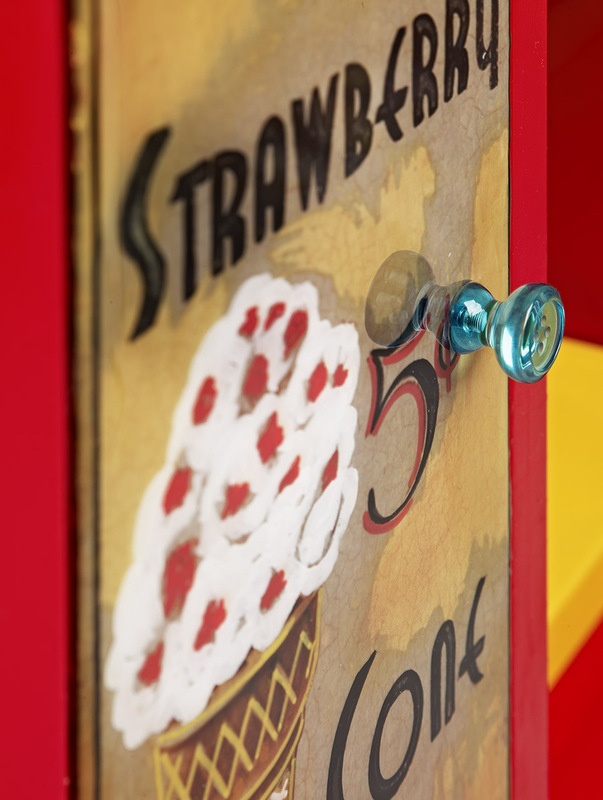 Motels, gas stations, cars ect… all painted with acrylic and finished with glossy resin.